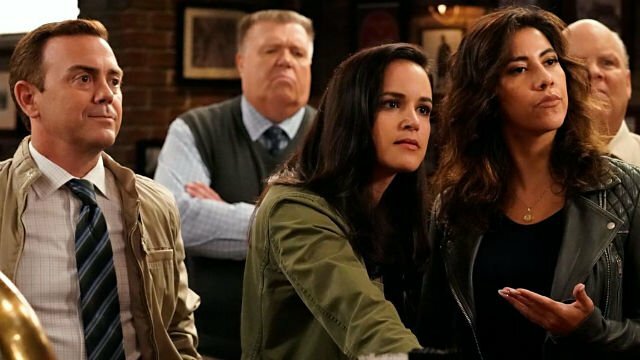 In the previous episode of NBC’s Brooklyn Nine-Nine, Gina said goodbye to the Nine-Nine. 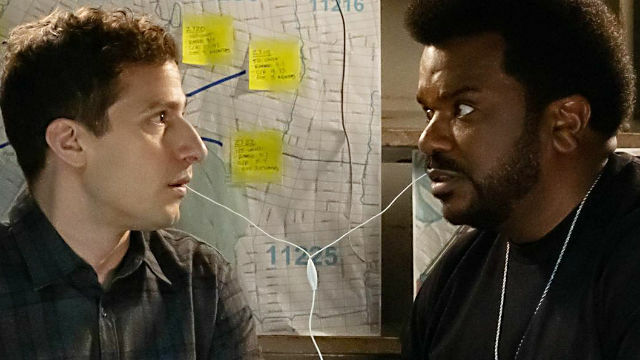 In Brooklyn Nine-Nine season 6 episode 5, Doug Judy returned and teamed up with Jake and Terry, while the rest of the Nine-Nine fought to keep their bar. 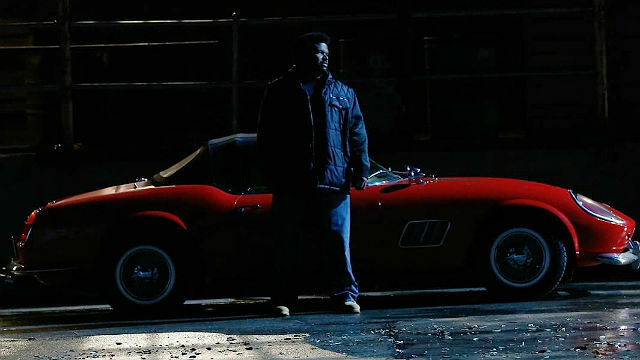 Terry heard that Doug Judy was back to stealing cars, but Jake was sure he had changed. When they called Doug’s mom to get in touch with him, she told them he was dead. They arrived at his funeral, where Doug’s sister, Trudy Judy, asked Jake to sing. While Jake sang an ode to Doug Judy, Doug was at the back enjoying the song. Doug told Jake and Terry that he had to fake his death because the actual car thief stole a red Ferrari belonging to criminal Stefano Lucas. Lucas thought Doug was the culprit, but Doug had an alibi. He was DJing a bar mitzvah at the time. Jake vouched for Doug with his usual 1000 pushups, but since it was Terry and Jake was so sure, he upped it to 100,000 pushups. Jake and Terry went with Doug to another bar mitzvah. While there, the copycat had stolen another car. Terry felt it was proof that Doug was involved, since he conveniently had a solid alibi. Doug also had close ties with the copycat, Trudy Judy. She claimed to steal cars to keep up with her student loan payments for nursing school. Trudy had found Doug’s notebooks; he wasn’t involved. In exchange for a reduced sentence, she agreed to help them deliver Stefano Lucas by getting the car back from her fence. Trudy took them to her fence, Dallas, and Terry posed as “her man”. Doug got riled up when she touched his chest too much, and Dallas escaped when Doug came out to yell at Terry. Trudy Judy escaped when a car blew up. She had instructed Dallas, her employee, to set it up. She actually enjoyed being a criminal. But since Jake was right, Terry had to pay up with 100,000 pushups. A group of firefighters had invaded Shaw’s, the Nine-Nine’s bar. To decide who got Shaw’s as their hangout, the Nine-Nine and the firefighters would participate in a drinking competition. Whoever racked up the higher tab at the end of the night won. If anyone threw up, they were disqualified, and they couldn’t order a drink until their drink was finished. After several drinks and a speech that ended in vomit, Holt showed up. Rosa had drunkenly called him to come over. Before she hung up, Rosa had mentioned not thinking Holt cared about them. Despite how much he despised Shaw’s, Holt arrived to help them. He drank bottles of “charbonnay” and won the bar for his precinct.